Click here to visit the Contigo facebook and like them. Then on the “Giveaway” tab, fill out the form with the keyword MiO to enter their sweepstakes. 250 winners will score a free 16 oz. Shake & Go Tumbler and one 1.62 oz. 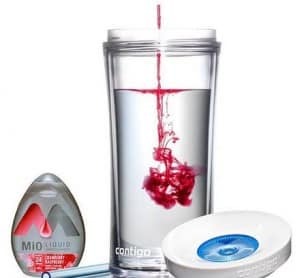 MiO Liquid Water Enhancer Cranberry Raspberry. Good luck!